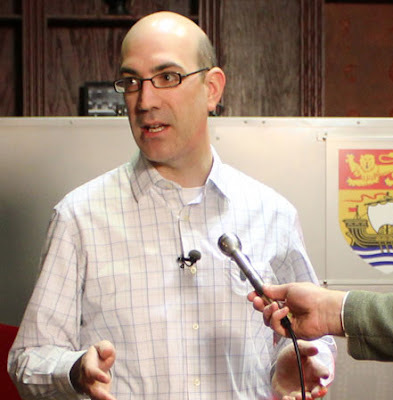 Kevin Lacey, Atlantic Director of the Canadian Taxpayers Federation. "Your government determined that the Film Tax Credit program was deserving of budget cuts," Lacey wrote. "Given the government determined the program was ineffective, we believe that no further money should have been spent." Two of the victims' mothers are livid the production is going ahead. Isabelle Hains and Ana Acevedo, mothers of Daniel Hains and Javier Acevedo, victims of the 15-passenger van crash in January 2008, contacted the federation to plead their case. Both have said that neither the filmmakers nor School District 15 talked to them about the movie before permission was granted to shoot on location at Bathurst High School. "Given taxpayers money, including those of the victims families, is being spent to support the film, the government and producers should have sincere and meaningful consultations with the very people who will be most affected by the production of this movie," Lacey said, adding that so far, the Alward government has upheld its campaign promise to consult with the public on most issues. "It's our hope your government will listen again and support our call to end taxpayer subsidies to this movie."